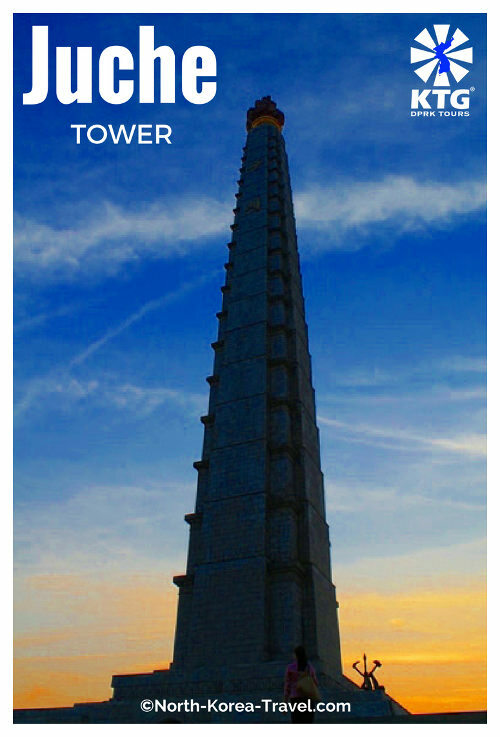 2015 Pyongyang Marathon Review - We had several tours for the occasion of President Kim Il Sung’s Birthday and the Mangyongdae Prize Marathon. 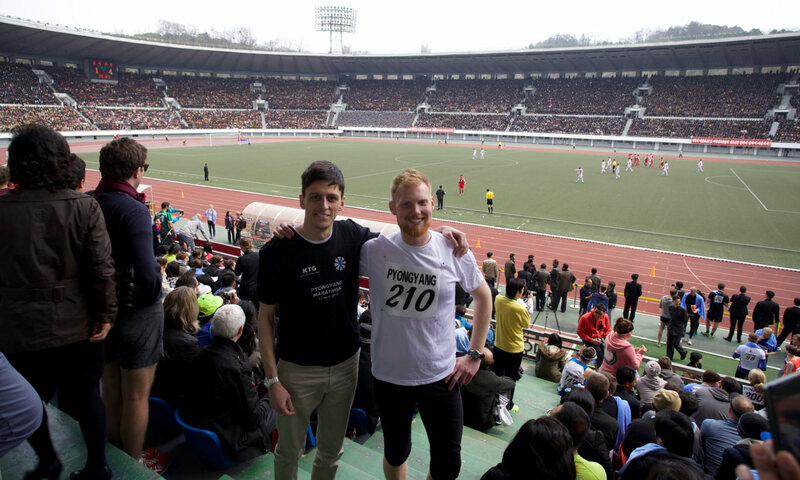 After having been notified that the Marathon was again opened to foreigners after the Ebola travel restriction was lifted, we headed to Pyongyang for our third scheduled group tour of 2015. 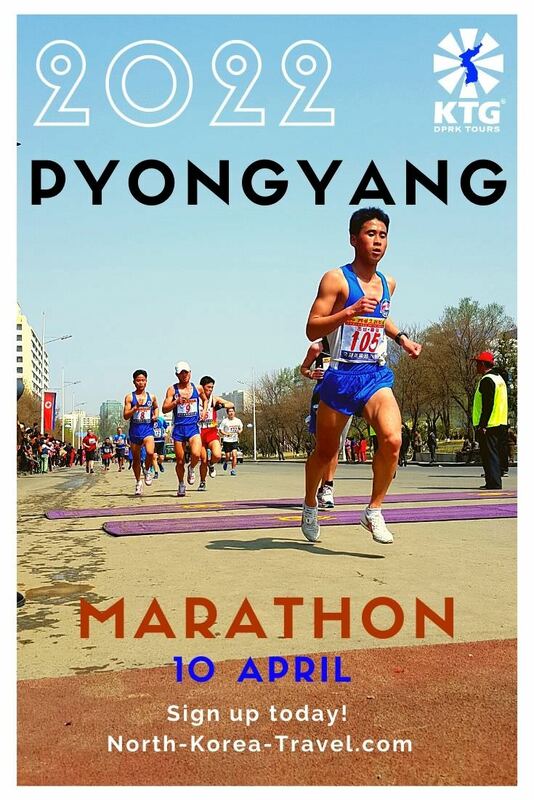 We arrived in the evening of the 11th April, those entering by plane having a slight delay given that there were several flights scheduled from Beijing to Pyongyang as a result of the large number of people signed up to the marathon. 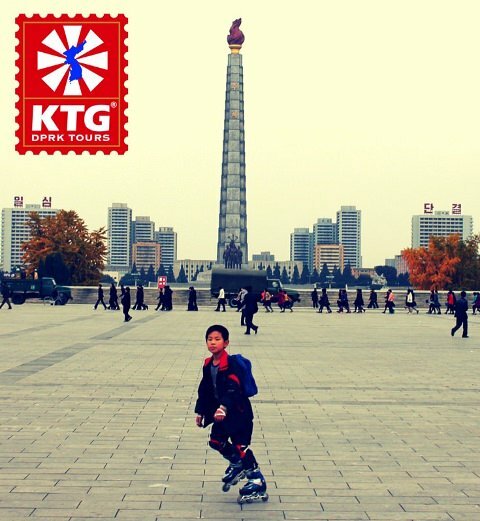 The morning of the 12th, which is when the Pyongyang Marathon was held, was a little chilly. 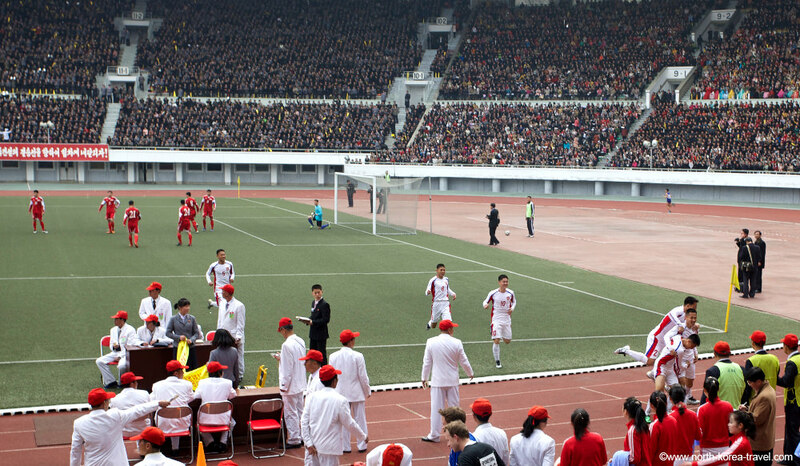 After wishing our runners good luck, we were actually the first to enter the Kim Il Sung Stadium. It was an awesome feeling to see the stadium completely empty and then slowly, but steadily, filling up with locals. 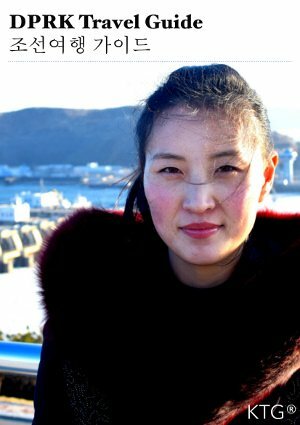 Picture of our local guide Miss Song who speaks perfectly fluent Spanish (better than our Spanish staff members! ), great English, Japanese and is learning Chinese! She plays too 4 musical instruments and is an avid football fan. The stadium quickly filled up and just before the race started at 8.30 am the foreigner runners were being cheered by 40,000 Koreans, indeed not an experience everyone is used to! The atmosphere was ecstatic throughout the whole event. The runners gathered to greet the crowd who incessantly cheered. After the greetings the race started at 8.30 am sharp. After the international runners greeted the crowd the race started at exactly 8.30 am. There were three categories; the full marathon (42 K), Half-Marathon (21 K) and the Amateur Marathon (10 k). 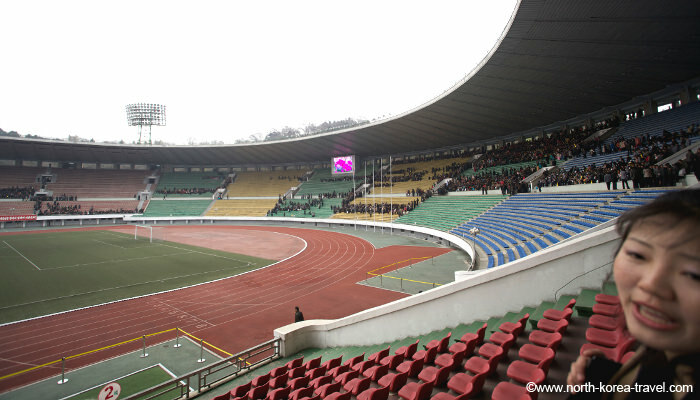 At 9.00 am the local Korean runners entered the stadium, each lined up their respective teams. The race for them started at 9.30 am. 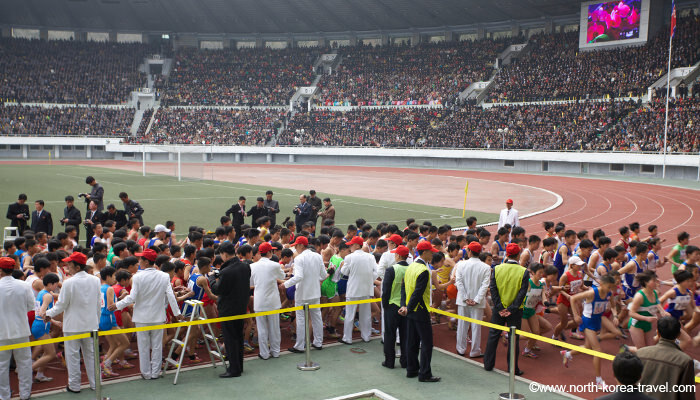 Close up view of the Korean runners about to exit Kim Il Sung Stadium. 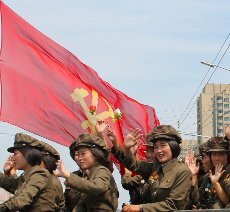 You can see an image of the Kimilsungjia Flower on the giant screen behind the DPRK flag. 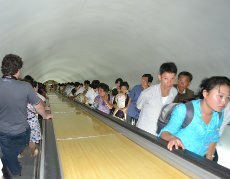 The running itself took place around Pyongyang. Those of us who stayed in the stadium had the chance to watch a mini-plane exhibition. Remote control planes would fly up high and then close to the stands leading the crowd to cheer in awe. The first runners started to enter the stadium just before the parachuting event took place. As we sat there absorbing the excitement of the moment, the first runner greeting the crowd of 40,000 while running his final lap, 20 parachutists appeared from the skies descending with in blue, white and red (the colours of the DPRK flag) parachutes. 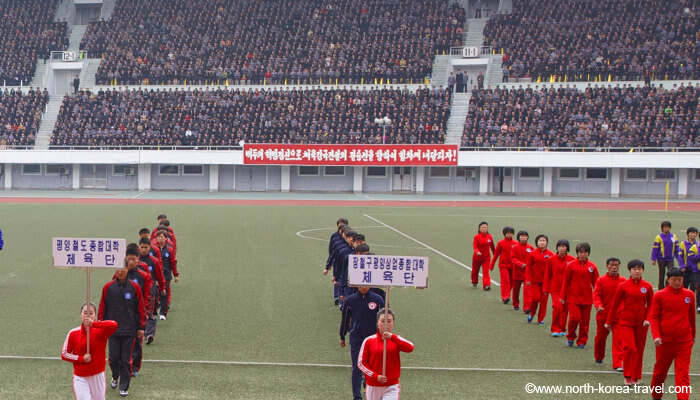 After the impressive parachuting show, and as the runners returned to the Kim Il Sung Stadium after having explored by foot the streets of Pyongyang, a football match between two local sides; The Chobyong (meaning soldier) team and the Hoebul (torch) team was held. This was actually one of the semi-finals of the competition held on the occasion of the Day of the Sun (President Kim Il Sung’s Birthday). To add to this, the crowd started the famous Mexican wave, on several occasions. 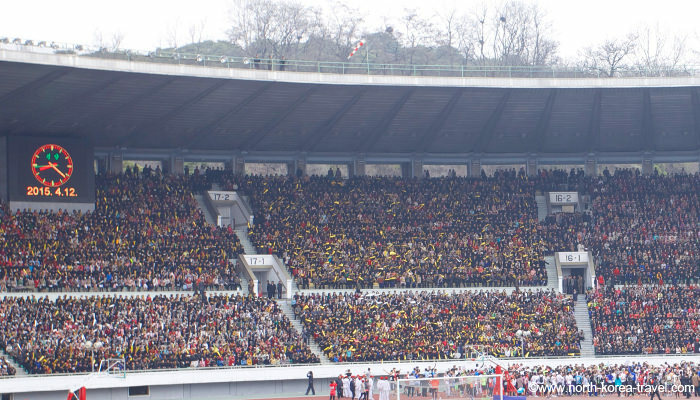 After the game concluded with a 4-1 victory to the Torch Team, the victory ceremonies were held, with the first three runners of each category being awarded a prize and standing on the podium greeting the whole stadium. If you are interested in participating in next year’s marathon please do bear in mind that there will be limited availability in 2016 so please do contact us for more details if interested in joining us! 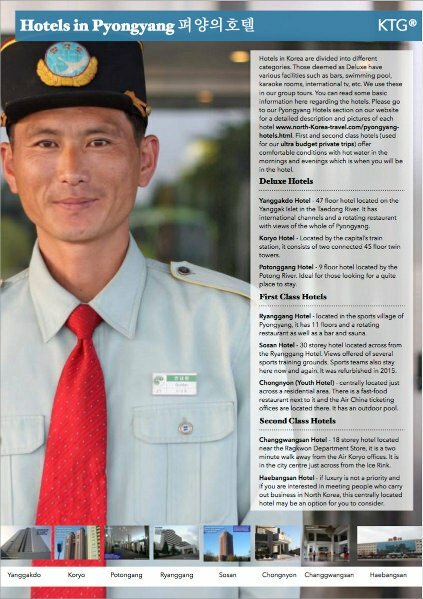 Please go from our 2015 Pyongyang Marathon Review to our DPRK Blog for information on our latest travel updates.